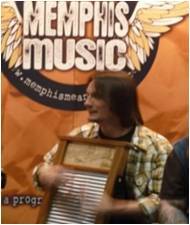 The Ambassadors program takes Memphis music to prominent conferences and festivals. 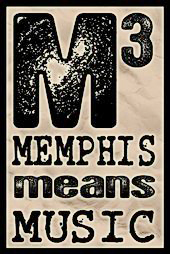 The program allows the Foundation an opportunity to spotlight Memphis talent and reinforce Memphis as the “Independent Music Capital” supported by publicity management and on-the-ground marketing teams. Ambassadors has traveled to the South by Southwest Music Conference, the Folk Alliance, Nashville, the National Association of Music Merchants Convention, and the Tin Pan South Songwriters Conference to name a few. The Piggyback program puts emerging artists on the road with established artists to help augment their fan base in new cities. This tour support program teaches artists how to maximize contacts, along with providing support on advancing dates with press and radio. The Piggyback program has resulted in artists signing management contracts, increasing radio airplay, securing excellent media, building new fan bases, and for one act- a six figure record deal. The Backstage Pass and Mentoring Sessions programs present MRC members an opportunity to hear from seasoned industry professionals. Backstage Pass is a public forum with an interviewer that explores career miss-steps, victories and lessons learned. It’s followed by a Q&A segment with the audience. Mentoring Sessions offer a select group of artists intimate access with established artists to dig deep into personal issues and obstacles, alongside tips for improving their craft. Guest artists have included gospel star Yolanda Adams, rock duo MGMT and hit country songwriter Rivers Rutherford. The Plug In Memphis program is designed to connect musicians to the businesses that provide the services they need. The expo attracts over 600 artists to its annual expo hall. Plug In also includes a showcase with a high profile headliner and an experts’ lounge of experienced music industry reps who tender speed mentoring sessions.